The end of the summer season is upon us, Moviegoers. What better way to celebrate the last hurrah of silliness then with a mega-sized shark causing all sorts of chaos at the cinema? 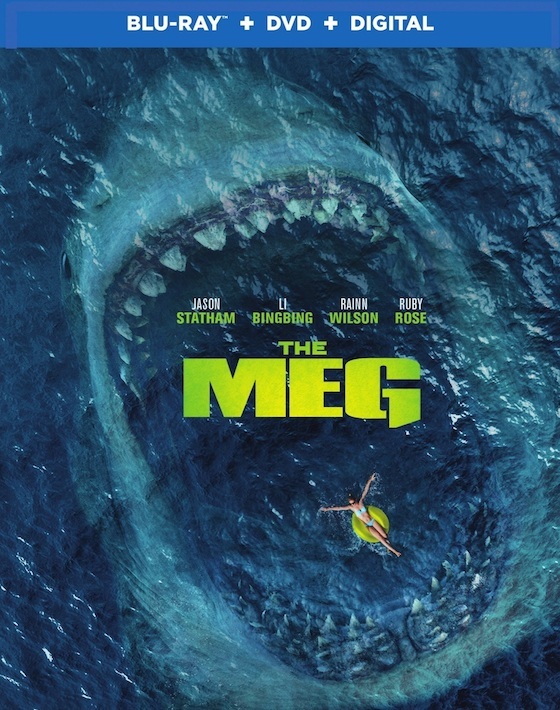 True, The Meg – about a 75-foot-long prehistoric shark known as the Megalodon – is not any better than Jaws, but it sure is an entertaining thrill ride due to the performance of Jason Statham as rescue diver Jonas Taylor. Statham knows exactly what type of schlocky movie he is in and, thankfully, has a grand old time saving the film from its super seriousness time and time again. The Meg should be taken with a grain of salt. It’s better that way. Science fiction meets horror as one hell of a big shark traps a deep-sea submersible ship at the bottom of the Pacific Ocean. Thing is, Taylor has faced this creature before and now, with nowhere else to turn thanks to a talented oceanographer (Winston Chao), he must choke down his fear and figure out a way to be the victor in this man vs shark smackdown. If only the film’s director, Jon Turteltaub, would have relaxed a bit more behind the camera. It sometimes feels like he’s shooting two different movies. And the serious one we could do without. But I am getting ahead of myself. The Meg, in spite of its tonal shifts, is a fun Friday night flick. I hope it does well, even if it would have benefited from more Ruby Rose as – wait for it – Jaxx Herd (AWESOME NAME!) and less sudsy lovey dovey stuff. "The Meg, while entertaining, is matinee material that absolutely begs to be ridiculous. Maybe next time." There are a lot of ocean-based action scenes. 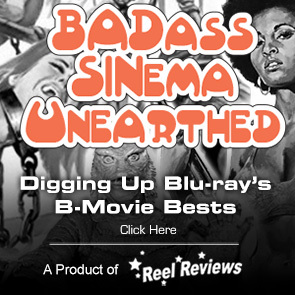 And there are plenty of shark surprises, but the film lacks a lot of the fun that makes B-movies work so well. Statham can only do so much and, at times, it feels like he is carrying far too much of the film. Big budget and bigger effects and yet there’s little in the way of fun. How could they screw this up?! Apparently, there is an R-rated cut of the film out there. Hopefully, that film gets put out on blu-ray because I would be curious to see just what and where the studio got nervous about the movie and decided cuts must be made. I’m not saying the theatrical version doesn’t work – it does – it just feels too safe and way too serious for its own good. Piranha 3D worked because it was off its rocker. The Meg plays it safe far too many times. I wanted it to go gonzo and never let up. That’s honestly what the film needs. More fun. While definitely B-movie material, The Meg is best left for fans of the ongoing Sharknado series. It has triple the budget but only half the fun. Sad, but true. I liked The Meg but I arrived at the theater prepared to LOVE IT. The Mariana Trench becomes the playground for one angry beast. And, unfortunately, the main laughs come from the unintentionally awful dialogue. That weakness is, for the most part, covered up by the swift pacing of the movie as a group of scientists get to stop the monster shark from terrorizing a beach, too. This film feels so much shorter than it actually is. My love for B-movies has me counting the minutes and seconds past a solid 90-minutes. Here, though, The Meg is nearly two hours long and, honestly, it just doesn’t feel like it could possibly be that at all. So kudos to the editor for that. The Meg, while entertaining, is matinee material that absolutely begs to be ridiculous. Maybe next time. MPAA Rating: PG-13 for action/peril, bloody images and some language. Tagline: Pleased to eat you. Memorable Movie Quote: "Thought to have been extinct for over two million years." The Meg comes to life in a blu-ray + DVD + Digital combo package thanks to Warner Bros. that features a 2.4:1 aspect ratio and a Dolby Atmos-TrueHD 5.1 DTS-HD Master audio track. The auditory atmosphere in this release is a true thing of beauty. The Dolby Atmos track works the room with a robust sound experience that fires on all cylinders as pops, cracks, roars, and creaks assault us from all angles. If you want to know what Dolby Atmos is all about and how you can experience it at home, this is a great feature to explore. Our up-firing Atmos speakers got the full workout as the giant shark swims around us and scrapes boats and docks above, below, and left to right. This is an auditory delight with the dialogue levels expertly attuned and perfectly intelligible over the cacophonous surround. On the visual front; a different story. Colors are bright and saturated and pop against the deep blues and purples of the ocean and vivid cyan of the sky. However, a lot of the film takes place under water and this is where things begin to fall apart. The big culprit here is the contrast, or more precisely, the lack of it. Pure black doesn't really exist and as a result most of the under water shots look pale and blanched with some significant unintended grain appearing throughout. I suppose they were going for more details in the shadows, but the entire visual experience suffers. Three making-of-type featurettes fill out the supplemental sections in the release that also includes a DVD copy of the film, as sell as a Movie Anywhere Digital Movie redemption code so you can add the movie your digital locker for access from any of your on-the-go devices. A paper certificate for 1000 free credits in Regal Cinema's Crown Club rounds out the physical portion of the release. • Chomp on This: The Making of the Meg (12:09) - Director, producer, stunt coordinators wax poetic about working with Jason Statham, the hazards and benefits of filming in the ocean vs. on a controlled set, while some of the film's actors, including Rainn Wilson and child actor Shuya Sophia Cai talk about the exhausting experience of acting in water. • Creating the Beast (10:25) - The director and several artists from the art department discuss storyboarding the film, designing the shark itself, and specific details about the shark and the freedom they had because really nothing is known about the real megalodon. • New Zealand Film Commission (01:53) - An appreciation piece for the New Zealand Film Commission which features many of the film's actors thanking the commission for their hospitality during filming.